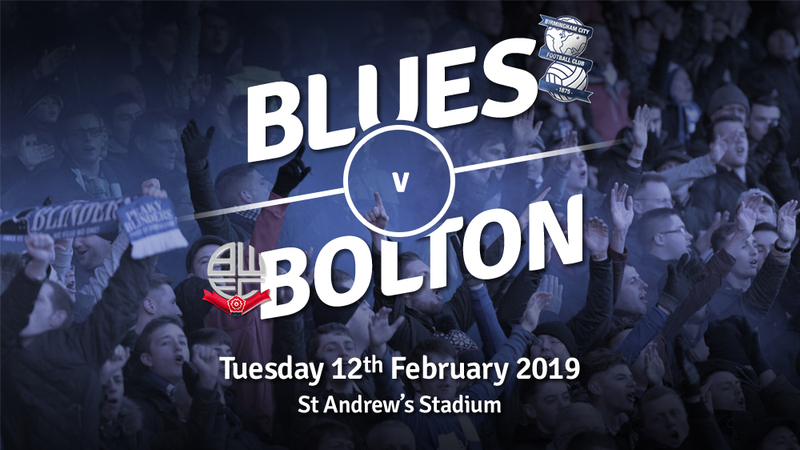 Blues host 23rd placed Bolton Wanderers tonight, as they look to secure their third win on the bounce. Not many would have predicted the events that unfolded at Loftus Road on Saturday, let’s hope this one is less dramatic and more straight forward for Monk’s men. After picking up their first win since Boxing Day against Nottingham Forest, a win tonight could now see Blues on a roll again. Three points this evening could see Blues move within one point of the play-off places and just two points off fifth-placed Middlesbrough. The visitors travel to St. Andrews having not won in the league since Boxing Day, Phil Parkinson’s men sit on 23 points and have half as many points as Blues do currently. The Trotters are the division’s lowest scorers with just 20 scored this term. Here’s hoping Clayton Donaldson, Will Buckley, Jason Lowe and yes, Lloyd Dyer don’t come back to bite Blues in the bum tonight. Ahead of tonight’s fixture we spoke to Trotters Blog who gave their thoughts on their season so far and how they see the game going. Bolton’s season has been a tough one, which really follows a similar path going back a few years. Winding up orders don’t seem to go away, wages continue to be delayed and incomings have been severely restricted thanks to our budget – or lack thereof Whilst the lack of funds is a big issue, a lot of Bolton fans have realised this shouldn’t be used as a sole excuse for our horrendous run of form. You only need to look at your team in Birmingham, who themselves have had financial issues, yet are putting in a good account of themselves. We realise a change in manager and owner is essential, but without it, we are effectively resigned to League One. Up next in the WAB Guest Prediction League we have legendary BCFC snapper Roy Smiljanic! The boys want to keep the momentum going after Saturday, Che will be keen to make it a lucky 7, I think we will be too strong for them at end of day. I give them a goal only because I feel that if they do score, it can only be Clayts (Donaldson) who scores assuming he plays! Charlie Williams still tops the table with 23 points from his predictions in the second game of the season against Middlesbrough!